uddin is using Smore newsletters to spread the word online. 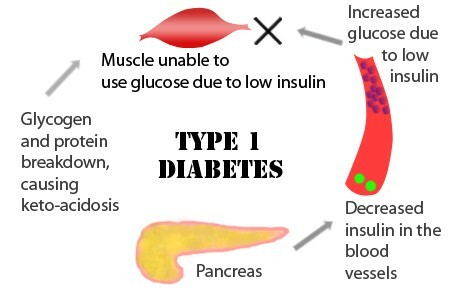 Type 1 diabetes, once known as juvenile diabetes or insulin-dependent diabetes, is a chronic condition in which the pancreas produces little or no insulin, a hormone needed to allow sugar (glucose) to enter cells to produce energy. The far more common type 2 diabetes occurs when the body becomes resistant to insulin or doesn't make enough insulin. Taking several insulin injections every day or using an insulin pumps. Monitoring blood sugar levels levels several times a day. Eating a healthy diet that spreads carbohydrate throughout the day. Exercise helps the body to use insulin more efficiently. It may also lower your risk for heart and blood vessel disease. Regular medical checkups. You will get routine screening tests and exams to watch for signs of complications, such as eye, kidney, heart, blood vessel, and nerve diseases. Blood sugars are easier to predict and control when mealtimes, amounts of food, and exercise are similar every day. So getting into a daily routine helps a lot. children with diabetes is a support group for children who has been diagnosed with diabetes type 1.